Ladies and Gentleman, I present you with my Infinite Wars Fantasy League Team. My Super crew is led by Green Arrow. Using years of experience leading the arrow family. 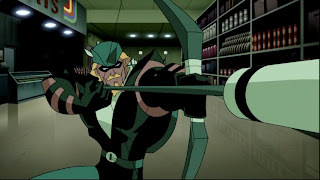 Green Arrow leads the Knights and keeps them grounded. Managing the personalities in the groups isn't easy, but Ollie is up for the task. Second in command, Luke Cage. Leading the New Avengers is okay, but the chance to be in my pantheon of heroism is an opportunity Luke couldn't turn down. Luke provides the younger members the benefit of his leadership. 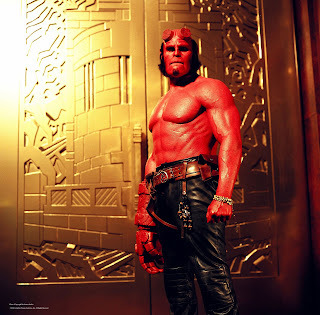 Hellboy provides raw brute strength and power to the squad. The indestructible demon spawn rather chill with the Knights than the stuffy BPRD. He makes sure the team doesn't take itself to seriously. 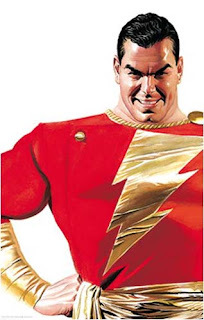 Captain Marvel has been on some of the most powerful super teams ever assembled. But never before has he been called on to be the big gun. If two indestructible team mates can't handle the situation. All eyes turn to Cap to bail out the team. As Billy he loves reading comics with Hellboy, and arguing over who gets the nickname big red. 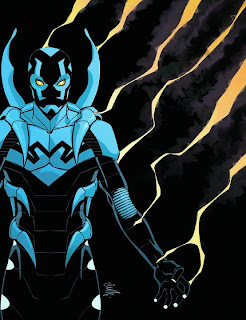 Blue Beetle, Jaime Reyes gets to learn how to use his powers with the benefit of the help of the greatest heroes ever. Blue Beetle is important for being the resident expert on alien invasions. These are my Knights Of Right. 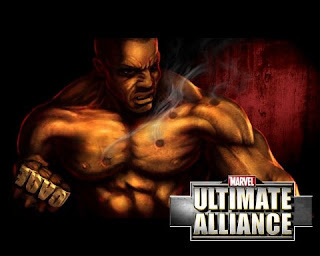 The name comes from my Marvel Ultimate Alliance team. Which had Doc Strange, Ghost Rider, Luke Cage, and Iron Man. Having the ability to draft DC characters I had to update the team with my favorites. You can join in on the fantasy fun here all you have to do is pick your team and watch the site.